Fissacoin is much more than a payment method. It brings you a number of special features: a collective wallet for you and your friends, live performance updates and the live whereabouts of your friends! Cut expenses with Fissacoin. Making sure there is a solid internet connection will no longer be a problem. Hiring extra staff for token sales, ordering custom make tokens and counting tokens have become a thing of the past. With Fissacoin your payment systems run completely offline, secure and fast. Customers can buy their digital tokens in advance or whenever they want, in the blink of an eye with their mobile phone. Completely offline. Fissacoin introduces the first digital payment system that runs a fast and entirely offline service. We found a way to make sure every transaction is secure without any form of internet connection. Eliminating internet malfunctions and yet always up-to-date. Keep up with the latest developments during your event. Fissacoins realtime will keep you informed about stock levels at a bar or stand, while generating an easy overview of the overall turnover rates per bar. This way you can anticipate during your event, instead of having to wait for the next editions to come! Due to Fissacoins very own ERP system, managing your event has never been easier. Create an overview for your administration according to European standards and regulations. All the information is available and clear within seconds, before, during and after your event! Keeping your visitors satisfied and creating a large turnover is the most difficult part of this industry. 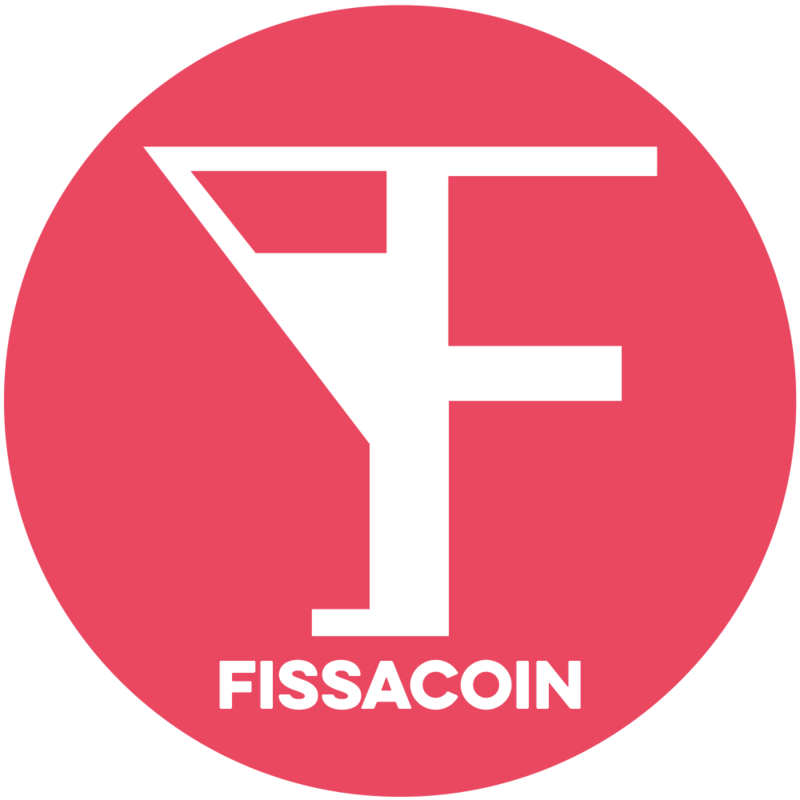 In response to the growing demand of hospitality and generosity, Fissacoin developed a user-friendly information format for you and your staff to make sure your customers leave with a smile! A couple of easy steps, from welcoming them at your event, till ordering drinks at the bar with our new payment system!